See it and feel it. Get up close and personal to this wild edge of wonder. See what 1.5 million visitors a year are talking about! 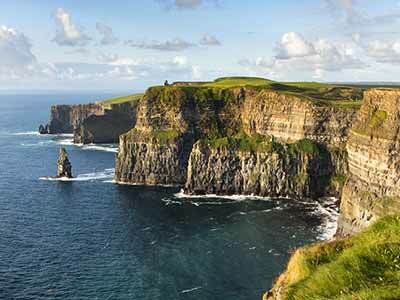 Looming large over the Atlantic Ocean on the edge of Western Europe stand the magnificent natural wonder of the Cliffs of Moher. Bruised and battered into incredible furrowed forms by the incessant pounding of the waves, they soar to a height of over 214 metres (700 feet) and stretch for a distance of 8km. 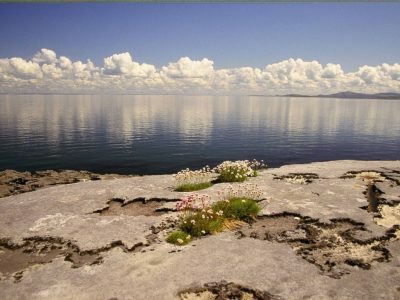 Head for the heights of the Cliffs of Moher and make your Ireland vacation hard to top! Feel like a giant as you gaze across the vast wilderness of the seemingly never-ending shifting waters and stare down at the daunting drop into the serene and scary! 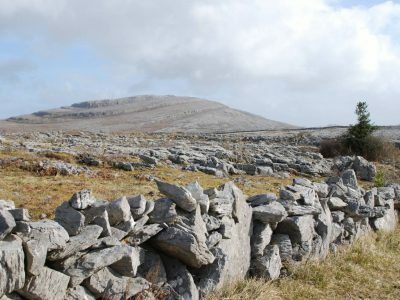 Get there on a clear day and with a walk to the highpoint of O’Brien’s Tower you’ll see all the way to the Aran Islands in Galway Bay, the Dingle Peninsula in County Kerry and the Connemara mountains of nearby Galway. While millions visit, some call these cliffs home, namely the 30,000 sea birds and colonies of puffins who nest and shelter along this special area of conservation. Take time to catch a glimpse of some of the twenty protected and rare species of birds that share this important breeding spot, most notably Razorbills, Guillemots, Gannets and Kittiwakes. Not only are they Ireland’s most popular natural attraction, the Cliffs of Moher have also made an impression through numerous big screen appearances, featuring in movies like Harry Potter & the Half Blood Prince, Ryan’s Daughter, The Princess Bride, Leap Year and the popular Irish comedy series Father Ted – so you might even recognise them at first! As with any ancient site of historical significance, the Cliffs of Moher come with their fair share of legends. From the grisly demise of Mal, the old “sea witch” chasing the object of her desire out to sea and turning the water a deathly red, to St. Patrick who angered the ancient high priests so much they magically transformed themselves into galloping foals. 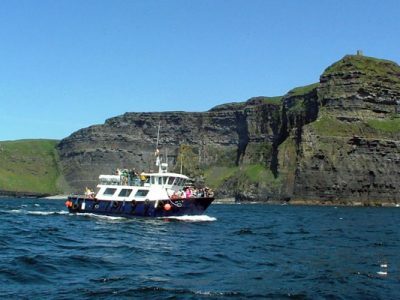 Step away from the cliff edge to find the Cliffs of Moher Visitor Centre. This unusual eco-friendly visitor centre is built into a hillside approaching the cliffs and is a hive of information on the history, geology and wildlife of the area. The Interactive media displays, live video from the undersea caves and the thrilling Atlantic Edge exhibition all help to bring a visit to this timeless vista to life!